The hot cooking liquor tank was suffering from under insulation corrosion and was a safety concern to those who touched the tank without gloves. 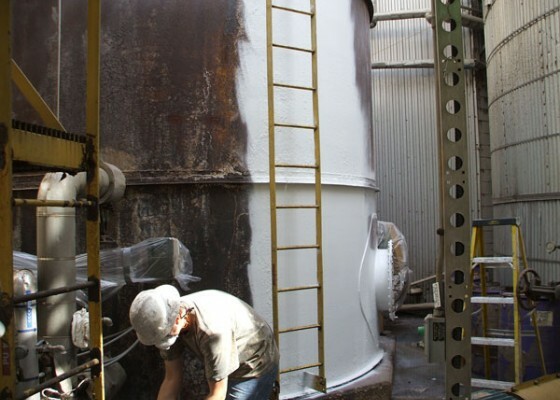 Contracting & Materials, Inc. was able to solve the corrosion issues by preparing the tank and coating it. A top coat of 120 mils of ceramic insulation was also installed to solve safety concerns by decreasing the surface temperature.